Peggy's Ponderings~: #TBT - A Really Old One of Mr. H. and Me! #TBT - A Really Old One of Mr. H. and Me! We were leaving for a weekend trip to Cincinnati. My parents were babysitting. Great picture, Peg! And great legs!! Wow! It's nice to remember the good times, isn't it? Great pic! Dennis J. is right. I've never seen you wear anything but pants. Why? With legs like that, SHOW THEM! 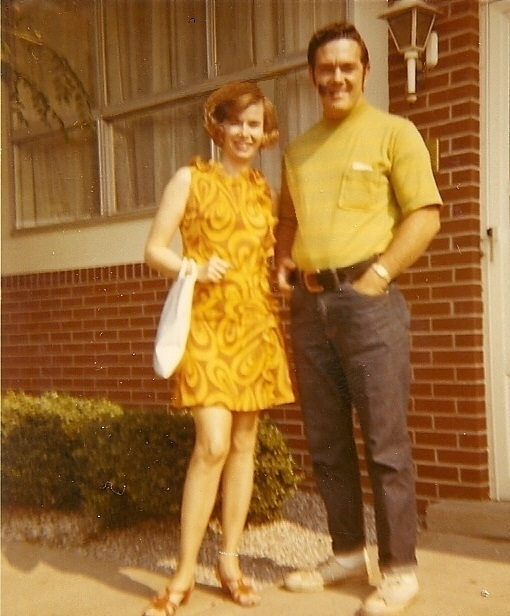 Great picture of both of you, Peg, but you look like a fashion model. So gorgeous!